Refine Technology is very pleased to present LA Industrial Supply as its new distribution partner in Puerto Rico. LA Industrial Supply is a leading provider of high quality hygienic seals, sanitary gaskets, hose assemblies, valve, pump and filler machinery components in a wide range of high purity elastomer materials. LA Industrial Supply’s contacts and expertise in the field of biopharmaceutical manufacturing in Puerto Rico make them an excellent partner to promote Refine Technology’s CleanLine™ 1.5″ Single Use Connector in an area known for biopharmaceutical manufacturing. 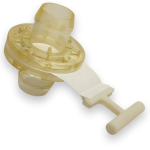 We are looking forward to expanding awareness and use of the CleanLine Connector to improve sterile flouid flow rates in Puerto Rico. Refine Technology is pleased to announce new partnerships in Europe for the promotion and sale of the CleanLine™ 1.5” Single Use Connector. The company has appointed several of the Indutrade group of companies as distribution partners. Indutrade is an international industrial group that sells high-tech products and solutions helping customers to improve their own products as well as streamline their own production processes. The continued expansion of sales channels in Europe represents a strong indication of the adoption potential for Refine Technology’s unique new connector in various single use bioprocessing applications. These are all very successful and well managed companies with an active customer base and experience in the fields of bio-production and single use manufacturing. We are confident in the level of expertise and professionalism that each of these companies brings towards increasing adoption of the CleanLine™ Connector and are looking forward to leveraging the relationships and influence of each company to continue to promote this unique technology into the market. The CleanLine™ 1.5” Single Use Connector is designed for high volume sterile fluid transfers and can be used to provide operational efficiency in many areas of upstream and downstream bioprocessing. 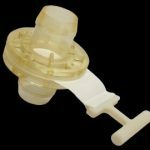 As single use bioprocessing has scaled up to 2,000 liters or more there is an increased need to also increase the size of the tubing assemblies needed to move fluid from one process step to another. The CleanLine™ Connector can provide fluid flow rates of up to 290 liters/minute, hold pressures of up to 80 psi or a vacuum of up to 26” Hg. It is a very robust and reliable product that can also work with hybrid stainless steel / single use systems that use standard 1.5” sanitary ports.